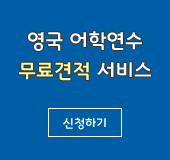 그 소문이 정말일 수가 없다. I woke up at 5 am but the rising hour was 7 am. 나는 5시에 일어났다. 하지만 원래 일어나는 시간은 7시였던것이다. I sometimes talk in my sleep. I walk to school sometimes. 나는 가끔은 걸어서 학교에 간다. I hardly sweat at all. 나는 거의 땀을 흘리지 않는다. I went to school on foot. 나는 계속 같은 실수를 한다. I checked out a few books. 나는 몇 권의 책을 빌렸다. I couldn't get up early in the morning because I studied till late at night. 나는 밤 늦게까지 공부를 해서 일찍 일어 날 수가 없었다. I took a shower and watched TV for a while. 나는 샤워를 하고 잠시 TV를 보았다. I worked as a waiter in a pub at Seomyeon. 나는 서면에 있는 호프집에서 서빙하는 일을 했다. I washed my face and brushed my teeth. I learned many things through the part-time job. I took a shower in morning. I had breakfast and put on my school uniform. 나는 아침을 먹고 교복을 입었다. I went to the library with mom and my brother. 나는 엄마와 동생과 도서관에 갔다.